If you haven’t noticed, we here at PaySimple are big fans of small businesses. We believe they’re the lifeblood of the economy, and the main drivers of character, uniqueness and vibrancy in our local communities. 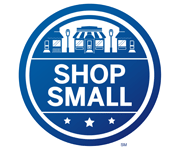 As part of our dedication to small business success, we are supporting Small Business Saturday. We are encouraging our employees and customers to shop at their local businesses on November 26 to help fuel small business growth. Want to make the most out of Small Business Saturday for your business? If you are a small business owner, visit the Small Business Saturday Facebook page to get free in-store signage, e-marketing materials, and other tools to help make November 26 your biggest sales day of the year.